Electrophoresis is a common molecular biology technique that is used to separate biological materials by virtue of their size and/or charge. An electrical field prompts negatively charged material to migrate toward a positively charged cathode through a fibrous gel matrix. The speed at which nucleotide chains and proteins migrate through the surrounding gel matrix is dependent upon their molecular weight. Researchers can use this information identify specific components by virtue of their size. Identification of specific nucleotide and protein components in electrophoresis is made possible through use of a carefully controlled set of molecular weight markers, colloquially known as a “ladder”. 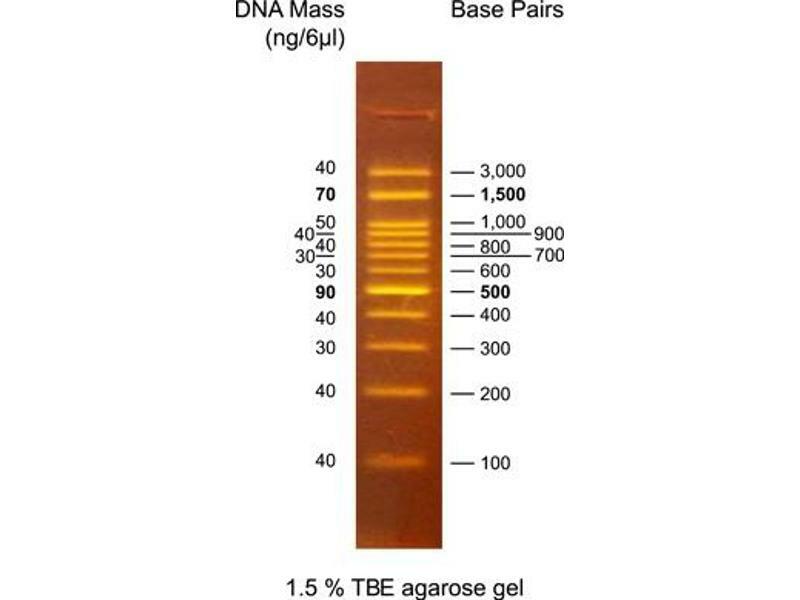 Left: DNA ladder ABIN649014, a ready-to-use molecular weight marker from antibodies-online for use in agarose gel electrophoresis. Right: Protein ladder ABIN2868518 is a three-color protein molecular weight marker from antibodies-online for use in polyacrylamide gel electrophoresis. Due to the ubiquitous nature of gel electrophoresis in experimental biology, nucleotide and protein molecular weight standards for electrophoresis are among the most important common-use laboratory products. 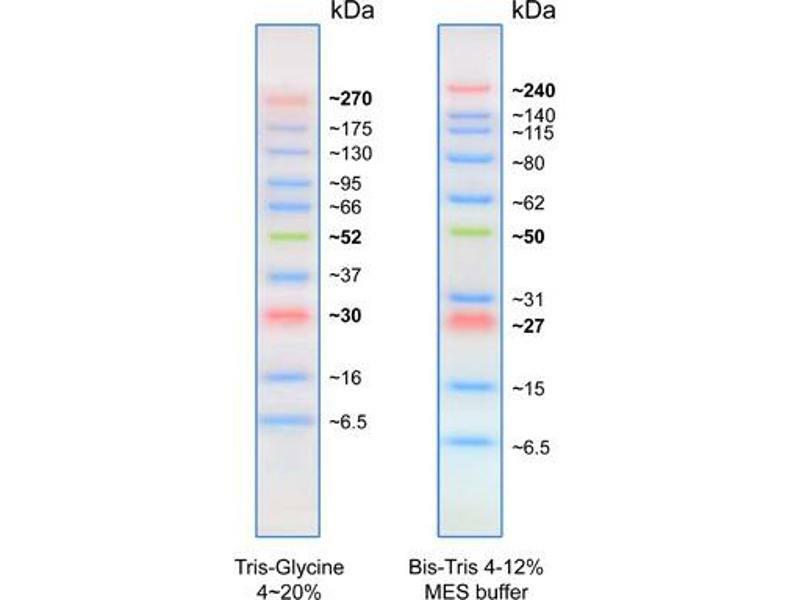 antibodies-online is proud to announce that we now offer high-quality, ready-to-use, affordable molecular weight markers for both agarose and acrylamide gel electrophoresis experiments. These unique products don’t require any dilution, and come in a ready-to-use format, complete with loading buffer and visible tracking dyes. Note: Make sure you also look into Nimble Juice and Novel Juice, a set of easy-to-use, bright, and ecologically-friendly stains for use with protein and DNA. Genomics researchers, check out our new platform genomics-online. We offer researchers and procurement agents the opportunity to search for the tools that make research possible. Primers, DNA extraction kits, plasmids, nucleotides and enzymes for genome editing, as well as other critical reagents from top-quality manufacturers around the globe are all available – easy to find, quick to procure, and supported by a world-class team of friendly experts. Discover over 2 million Plasmid, Lentivral Vectors and Lentiviral Particles!